History. Her material has been widely used both in Australia and Overseas. Some songs have been recorded, others used in Literature and Educational resources. 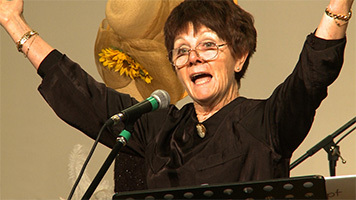 She served for three years on the Music Board of the Australia Council. Her performance experience covers many years and many venues as she has been a performer and presenter of shows at NATIONAL FOLK FESTIVALS since their inception and at other concerts and festivals here and abroad. 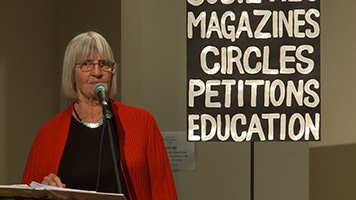 She has presented scores of sessions on themes mostly related to the Australian Experience. Others such as 'Lullabies & Dandling Songs' are world ranging. Her music teaching resource published under the name NOT JUST NOISE is being re-written for use with new technology. She has written productions that she describes as ... F.L.A.S.H. DOCOS (Folk Lore & Social History Documentaries). One of these 'SINGING THE SOUTH' is a Song-Line-Time-line of the Illawarra however she regards DAMES & DARE-DEVILS FOR DEMOCRACY as her most important contribution to date. Much of her work on numerous CDs is available for free online at: phyllobl.net. PHYL LOBL, (see above) conceived, researched and wrote the monologues and most of the lyrics and tunes for the show. She refers to herself as a 'Cultural Maintenance Worker' which is why she was keen to include the writings of some of the suffragists whose work and identity have been hidden in history for too long. 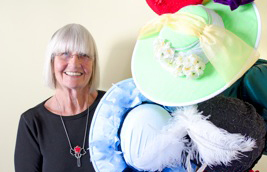 CHRISTINE WHEELER has been a performer at folk venues for many years, most often with her group 'Wheelers & Dealers'. She also works with Musica Viva in schools. A talented multi-instrumentalist, singer, arranger and writer, her work has made an invaluable contribution to this production. Her latest CD 'Rain In the Mountains' is a collection of Henry Lawson songs. SHAYNA STEWART has been on-stage in productions such as 'Jesus Christ Super Star' and 'Betty Blockbuster'. She was a singer in the unique Australian band Tully. Shayna brings to this group experience, talent and musical taste that complement her haunting voice. 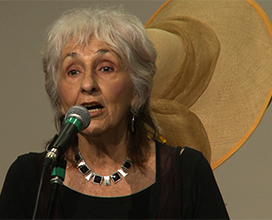 A sample of her contribution to a re-ignited Tully can be found on YouTube-Tully-Palestine Blues. SOPHIE LESLIE a singer from the a-cappella group 'Clever Sunday', Sophie brings youth, acting talent and strong powers of interpretation using a voice that can inspire minds and melt hearts. The future of this performer will be one to watch. 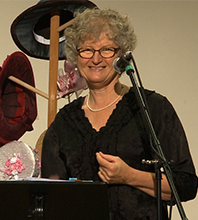 WENDY LEATHEAM (Stocker) Well known in this geographic area for her work on stage in numerous productions with 'Roo Theatre', Wendy is also the conductor of the Kiama Probus Men's Choir. Her sparkling stage presence and her ability to create personality and use varied accents help bring alive the past characters featured in the show. 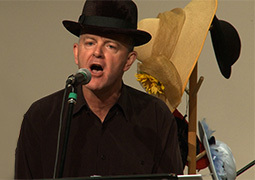 STUART LESLIE is the main driver of the 'KANGAROO VALLEY FOLK FESTIVAL' and is one third of 'The Puddin' Eaters'. 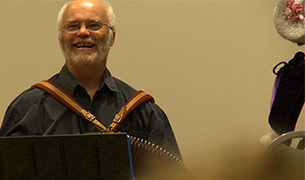 He brings concertina and melodeon skills and a great appreciation of Australian heritage. Stuart also plays a role as a misogynist when he definitely is not! 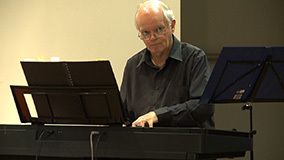 STEVE LEATHEAM is the accompanist of the Kiama Probus Men's Choir and from this experience he brings to this show his skills as a keyboard player as well as other helpful and generous contributions that aid development of the material.